Mungo Jerry famously sang, “In the summertime when the weather is hot”; he supposes you have women on your mind, but in summer, it is said that a chilled craft beer competes for mindshare. The song proceeds with the suggestion to “have a drink, have a drive”. Pardon the unPC Mr Jerry for he wrote of a time before Uber was allowed upstate. But upstate NY is where you find some great beer and a tour of Buffalo Breweries -- a brewcation as another website put it -- will yield the Thin Man Brewery and other stops on the Buffalo Breweries trail. With no intent to tokenize them into a listicle, here’s a list of Buffalo Breweries, all of which two of our thirsty stringers happily surfed. In the historic Elmwood Village, Thin Man Brewery state that they are looking to always innovate. 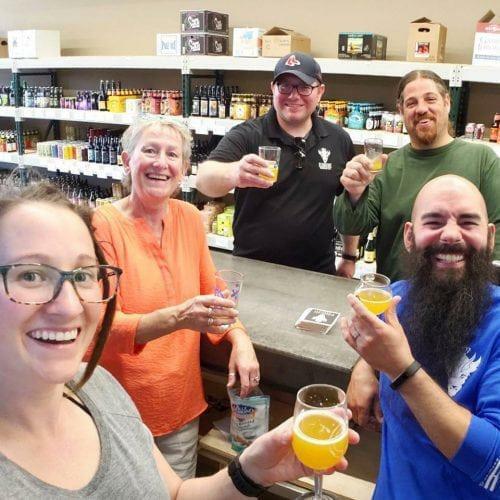 With innovative creations and inspiration from other breweries, this brewery is looking to expand their retail offerings. Thin Man Brewery list of brews includes IPAs (India Pale Ale), Stouts (try the Imperial Coffee Stout, called “Captain Perl”) and a variety of sour. Click here to view the listing for Thin Man Brewery. Click through to their website from there to see their beer list. This family operated brewery has the motto “Good neighbours, good beer.” This is a nano-brewery; they grow their hops on site and this lets them brew a variety of beers seasonally -- at any time, really. The brewery has a tasting room and, for the itinerant, merchandise like hoodies, tees and of course, pint glasses and coasters. There are 12 beers on tap, including an Irish Red Ale. 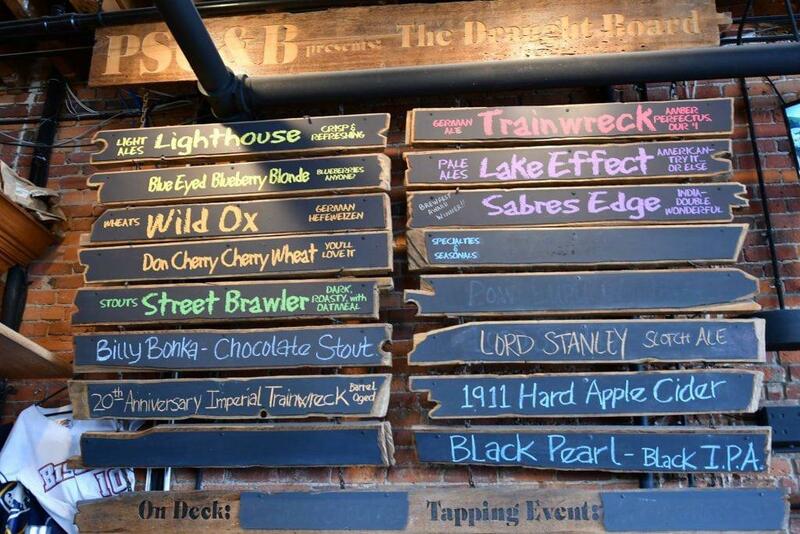 Click here to view the listing for Buffalo Brewing Company. You can visit their website from there. Aside from winning various awards for some of their IPAs this brewery is also symbolically tied in to Buffalo. The name is after the Erie Canal. When it was first dug up it was referred to as “big ditch” but now, filled up, 200 years later it still stands. The Big Ditch Brewing Company has a standard American menu with a dozen brews on tap; the taps themselves being fashioned as spades. 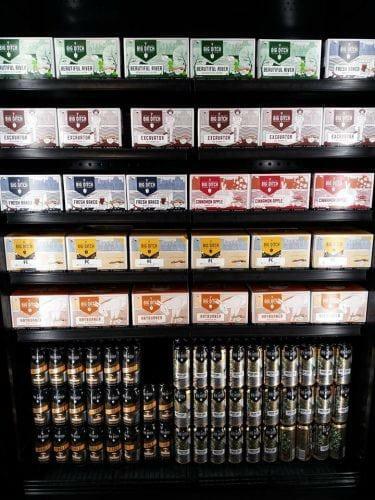 Click here to view the listing for Big Ditch Brewing Company. Their website has a list of what's currently on tap. Here’s a video from the brewery. RBC welcomes you to tour their brewery. Maybe meet the creative guys that bring you beers like Sponge Candy Stout, actually made with sponge candy. It’s this sort of creativity that keeps them brewing. 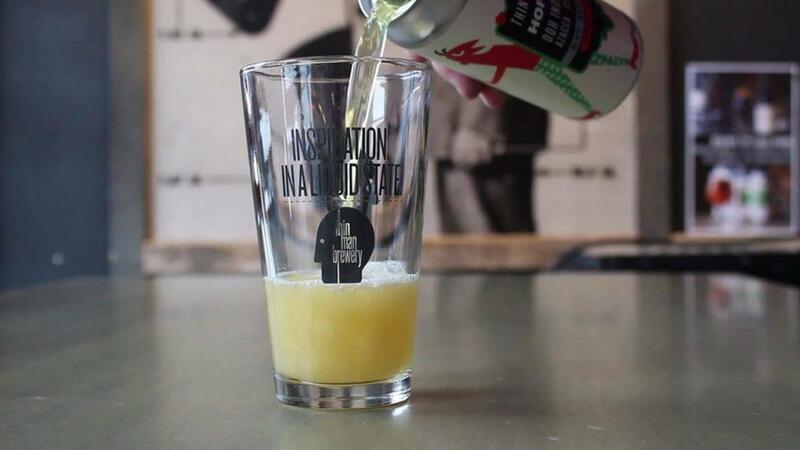 Featured beers like an R&D IPA with grapefruit, pineapple and tangerine, are perfect for summer. 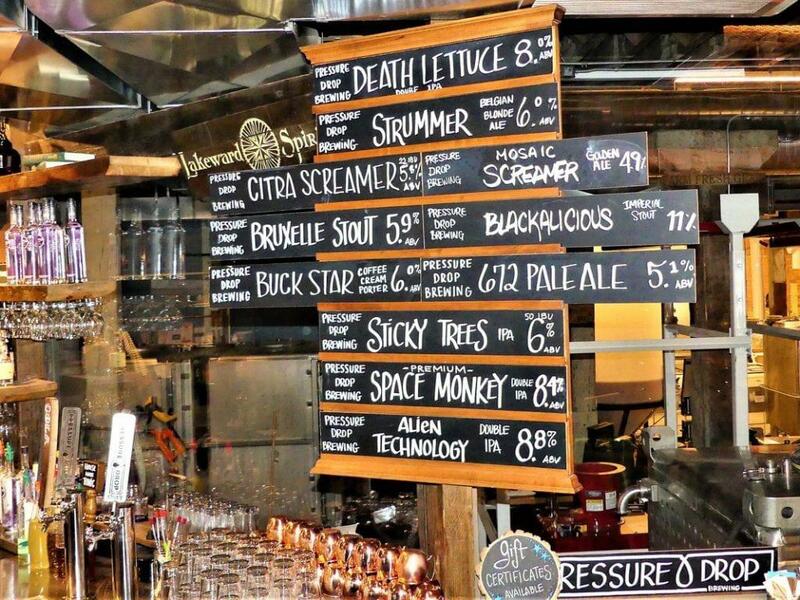 Click here to view the listing for Resurgence Brewing Company. Check out their full beer list on their website, available through this link. Flying Bison Brewing Company is the first stand alone brewery in the city of Buffalo. Award winning brewer of over 30 years, Tim Herzog, still owns and manages this space. Revamping their patios, Flying Bison Brewing Company engages in a lot of events. They have music chalked up almost every day and in includes an eclectic mix of Irish, blues, jazz and hip hop. The brewery has a strong sense of community. 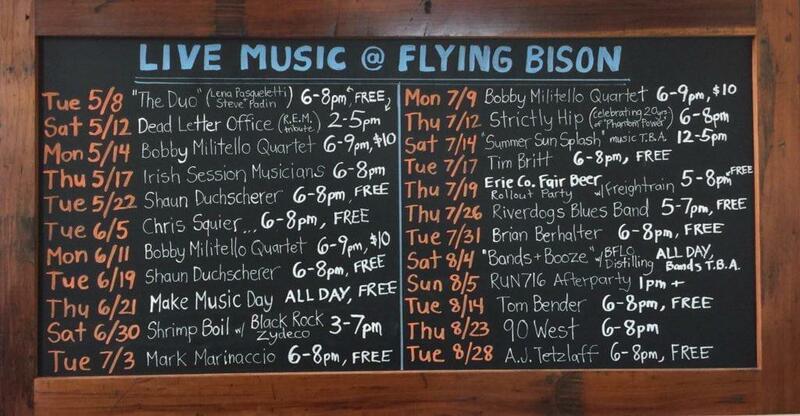 Click here to view the listing for Flying Bison Brewing Company. From this link, click through to their website to look at their list of beers. This may not have great history in the area but Buffalo RiverWorks sure is changing the waterfront along the river. 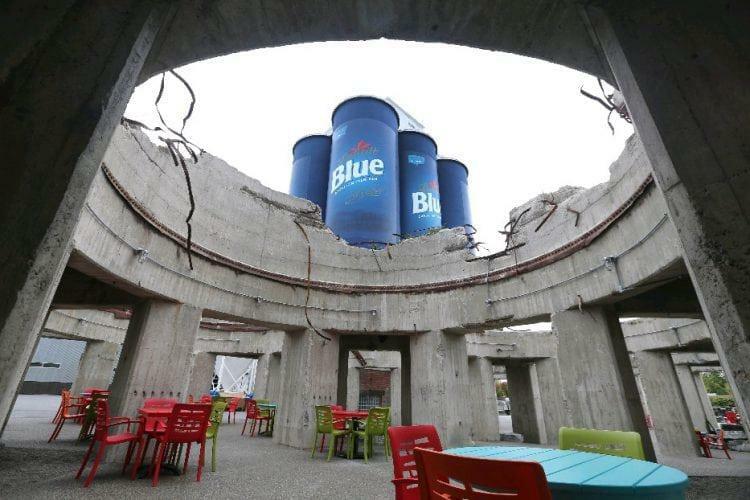 The newest sports and entertainment destination has fully functional brewery that’s retrofit into an existing grain silo. This gives them direct tank-to-tap access. This new venue guarantees entertainment- whether it is the events or the grain elevator. Click here to view the listing for Buffalo RiverWorks. CBW as the name suggests is all about community. Being the first nanobrewery in Buffalo, their focus has been on fresh and local beer. They even donate their spent grain back to the community. 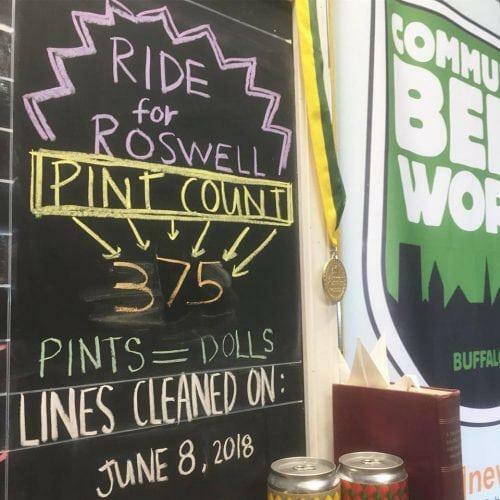 Click here to view the listing for Community Beer Works. From this link, check out their rather cool website. With pinball machines, darts and shuffleboard, this brewery might seem old timey but the beers are fresh. With their grain silo in the parking lot and a 15 barrel brewhouse, you can be assured of freshness. Brewing 465 gallons a year, there are beers like Terminator Pale Ale and their signature, Roosevelt Red. 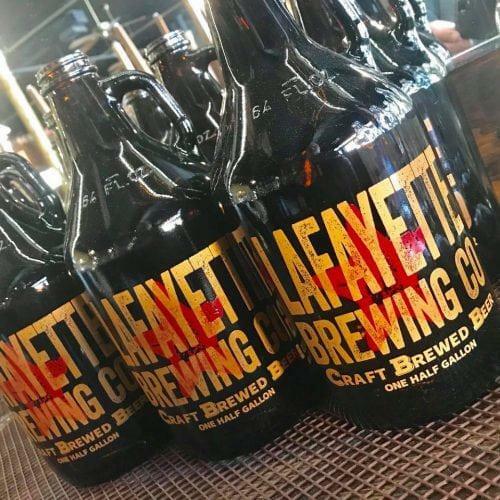 Here's the listing for Lafayette Brewing Co.
Gene McCarthy's/ Old First Ward Brewing Co. Located in Gene McCarthy’s restaurant building is Old First Ward Brewing Co. Gene MacCarthy’s Fish Fry and OFWs Oatmeal Stout come highly recommended. The St Patrick’s Pilsner marks the beginning of this brewery when they opened in March of 2012. Their outdoor beer garden is great in the right season. Their events are interesting, ranging from music to trivia on Tuesdays and interesting, Beer School, which explains itself. 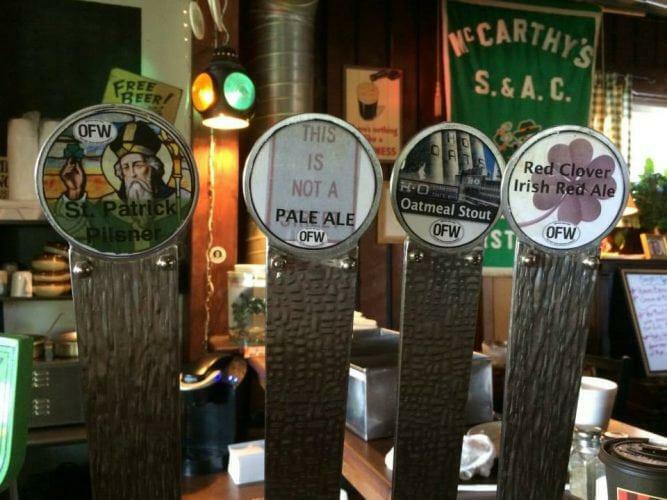 Click here for the listing for Gene McCarthy's/ Old First Ward Brewing Co. Their website has a list of their events. From 1997 this brewery has some rich beers. It’s available on tap at other locations too but it’s worth a visit. The New Orleans style patios with hanging flowers have been maintained as the building transitioned from dressmakers, to restaurant, to brewery. They have a selection of seasonal beers to choose from or the year round signature beer- Trainwreck Amber Ale. Click here for the listing for Pearl Street Grill & Brewery. Check their website for a full list of beers on tap. Another brewery in Buffalo’s Old First Ward is Pressure Drop Brewing. Combined with Lakeward Spirits, the brewery is serving at the taproom in The Barrel Factory. Their list includes pales, stouts and some seemingly multidisciplinary brews. 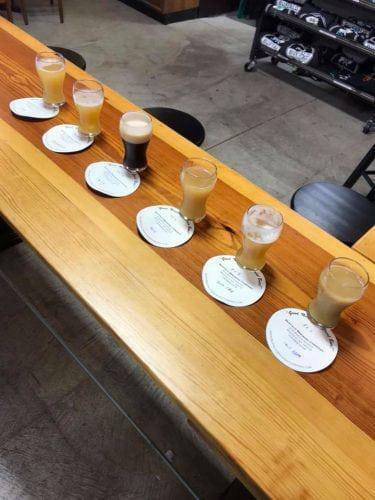 Click here to view the listing for Pressure Drop Brewing. This Japanese brewpub sources ingredients from Japan’s sake brewers. In Buffalo they make their own Yuzu IPA. For their food menu, they try to source organically and locally from Western New York. 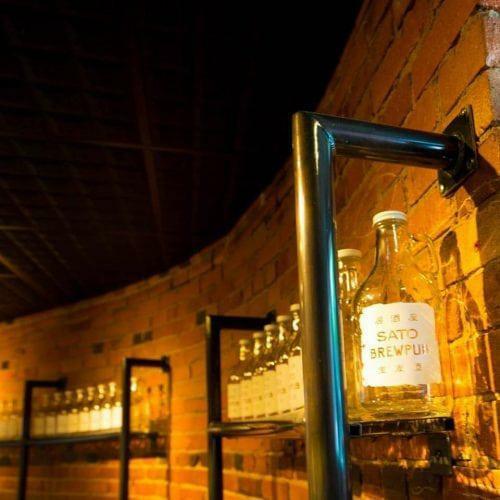 To read more on their Japanese beers on tap, click through to their website from the listing for Sato Brewpub. Pics sources for Thin Man Brewery And Other Stops On The Buffalo Breweries Trail: Various including from the breweries’ social sites. Contributions for Thin Man Brewery And Other Stops On The Buffalo Breweries Trail was from local freelance writers and beer enthusiasts.